The Smalley Berman Group places high value on relationships. Affluent families require a sophisticated comprehensive wealth management strategy. This requires the knowledge and resources only provided through a team of experienced Financial Advisors. The Smalley Berman Group has over 70 years of combined experience in servicing high net worth clients. 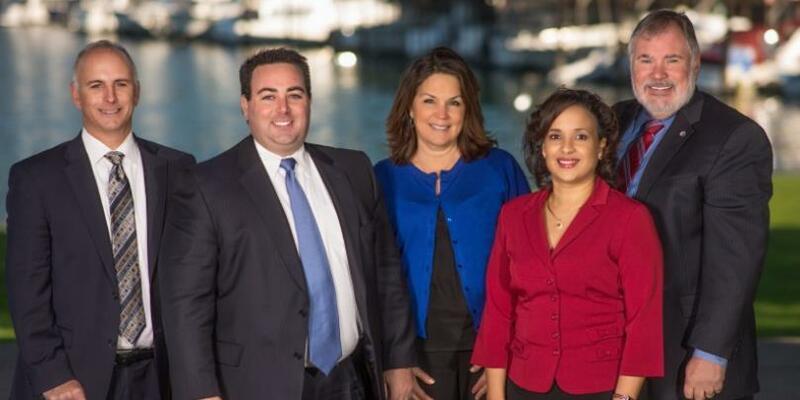 As one of Puget Sound’s preeminent wealth planning teams, we are qualified to address the multi-faceted needs of affluent families, small businesses and foundations. 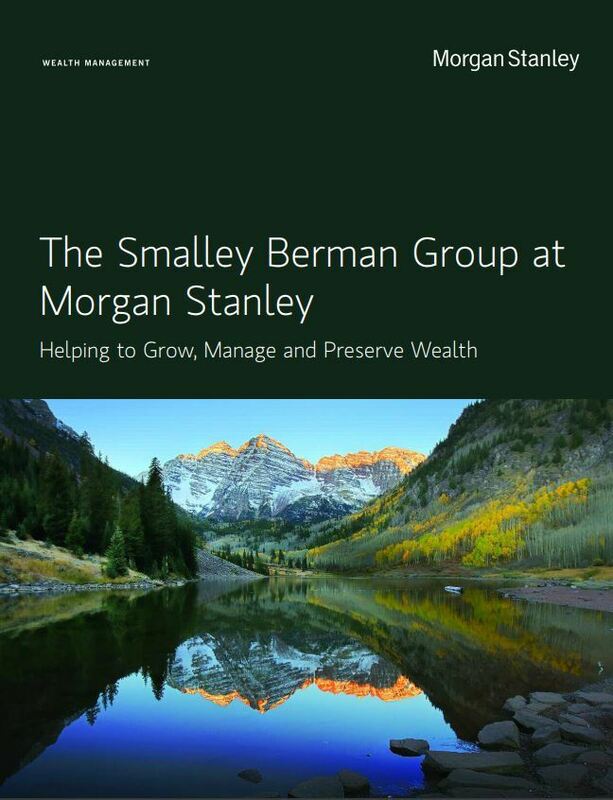 Our role at The Smalley Berman Group is to help you use your wealth to achieve what is most important to you. That may mean providing an education to children and grandchildren, buying a vacation home, meeting the special needs of a family member, retiring ten years early — the list is endless, and the decision is uniquely your own. Together, we will explore your aspirations and the life you envision. We will work with you to translate your goals into a specific investment objective and personalized investment strategy. And then, drawing on the team’s experience and perspective informed by the insight and resources of one of the world’s largest financial firms, we will structure a portfolio for you, executing and refining that strategy to help bring you closer to your definition of investment success. In short, your goals become our focus, and achieving them becomes a commitment that we share. Peter joined Morgan Stanley in 1992 with a vision to improve the way clients were served in the wealth management world. Focusing on helping clients achieve their retirement goals through pre-retirement planning, retirement preservation and estate planning strategies, Peter’s many years of experience, personable manner and technological savvy have helped build the Smalley Berman Group into a thriving, referral-based practice, spanning more than 25 years in the business. Peter’s dedication to the firm and his clients extends to his belief in the value of donating to local charities. He encourages and helps organize the Gig Harbor offices efforts to support local charitable causes through quarterly and annual campaigns. An avid percussionist and drummer since the age of 11 and a lifelong resident of Gig Harbor, Peter has combined his musical talents with his loyalty to his hometown by performing for numerous local charitable events over the years. He is a graduate of the University of Washington and is a member of the Morgan Stanley Masters Council, which recognizes the top-performing financial advisors for excellence in client services nationwide. Since 1990, Jim Smalley has worked with clients to help build their retirement wealth and to meet their financial goals. Jim focuses on advising clients based on the core tenets of integrity, honesty and dependability to provide a truly individualized financial plan for each and every client. Jim’s interest in providing thoughtful guidance for others extends well beyond his financial practice. He serves on numerous boards, including the Franciscan Health System. He is the Secretary/Treasurer and past-chair of Harrison Medical Center and the Vice Chair for SightLife, the largest corneal eye bank in the world, which includes clinics in the U.S. and India. 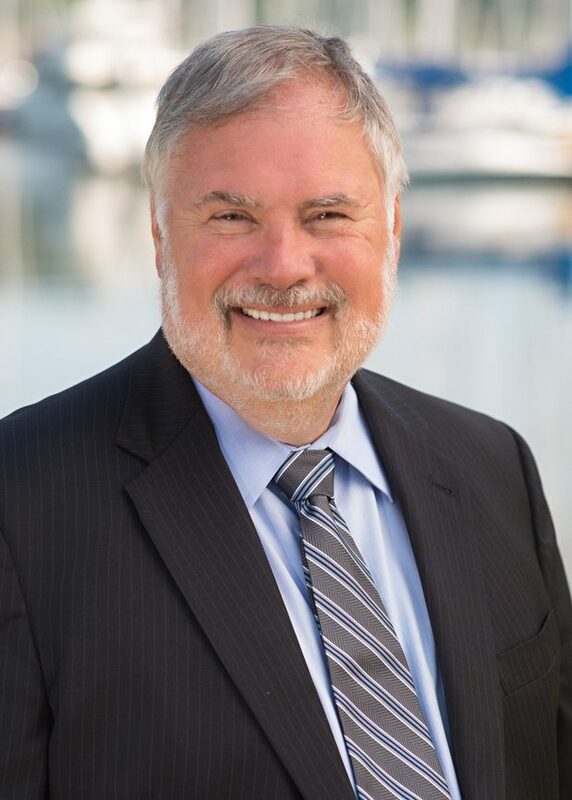 He has served as a board member for the Harbor History Museum in Gig Harbor, and has been awarded Life Director status with the Home Builders Association of Kitsap County. Jim is a lifelong believer in the value of giving back as is evidenced when he was awarded the Gold Presidential Volunteer Award by Morgan Stanley for donating over 500 hours of service to his community. In addition, in his personal time, Jim brings his high attention to detail to the restoration of classic cars, in particular Austin Healeys, of which he is a national expert. He has shown at the Pebble Beach Concours d’Elegance and has loaned cars to the LeMay Museum in Tacoma since its opening in 2012. Jim received his BA and BFA degrees from the Brooks Institute in California and studied economics at the University of Puget Sound. He is a member of Morgan Stanley’s Masters Council, a company-wide recognition program for the firm’s top financial advisors nationwide. Jim lives with his family in Gig Harbor. Joe brings over 20 years of industry experience to the team. 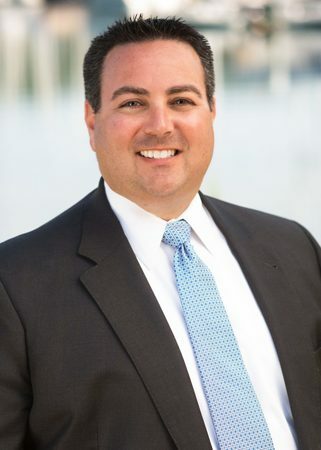 He has built his business through dedicated service as a trusted advisor, helping clients create and preserve wealth through a variety of financial services tailored to their needs. His primary focus is on the implementation and maintenance of investment strategies for clients. 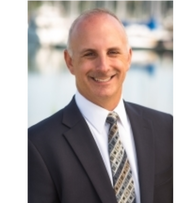 Joe started his career as a financial advisor in 1993 with Murphey Favre Inc, a subsidiary of Washington Mutual. He joined Morgan Stanley in 1998, earning the title of First Vice President. Joe is an advocate for giving back to his community and has been a longtime supporter of Northwest Harvest. He is an avid sports fan, and when he is not cheering on the Seahawks, he enjoys coaching youth sports and spending time with his family. He resides with his family in University Place. 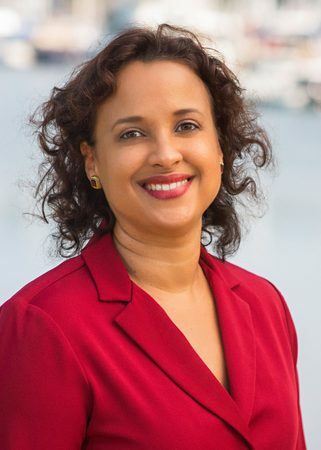 Maira's lengthy financial history with Morgan Stanley began in 1994. She started in operations and joined the Smalley Berman team in 2004. Throughout her years, she has developed and maintained a strong client support structure that has enabled the team to successfully manage their large number of managed assets. She manages the daily, multi-faceted account activities and provides detailed account management support for all clients of the Smalley Berman Group. Maira has her Series 7 and 63 securities licenses. Maira dedicates her spare time to hand-making quilts for the Morgan Stanley "Blankets of Love" campaign, which are donated to victims of domestic violence. Maira enjoys scrapbooking and custom card making. She and her family live in the Port Orchard area. A longtime member of the financial industry, Karin has worked for Morgan Stanley since 1989. As a Senior Registered Associate, she assists with day-to-day client support of the teams many clients, in addition to managing the contact management system to ensure the team runs smoothly. 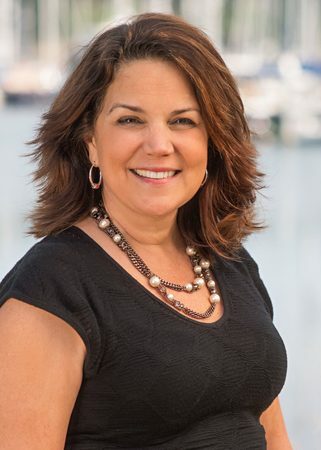 Due to Karins knowledge of technology, the Smalley Berman Group is able to maintain a high level of communication with their clients. Karin is both an NYSE/NASD Series 7 Registered Representative and a Series 63 General Securities Representative and has a Bachelors degree in Education from Pacific Lutheran University. Her philanthropic interests include managing the Morgan Stanley Quarterly Campaign called Jeans for a Cause, which encourages employees to donate to local charities, where her success rate overseeing the program is 100%. She also donates her spare time to Empowering Life, a non-profit group that raises funds for womens prison ministry and is a member of her churchs bell choir. Ready to start a conversation? Contact The Smalley Berman Group today.